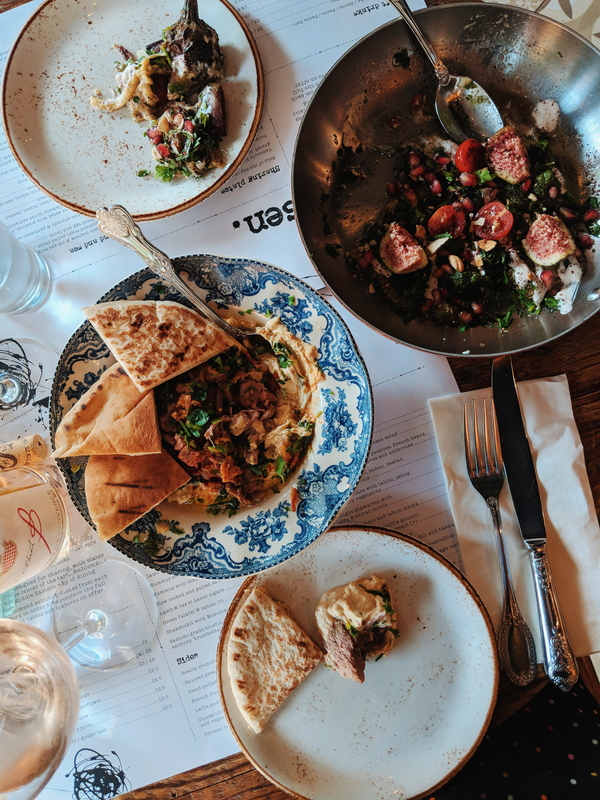 Stew and I enjoyed a cosy date night in Hampstead a couple of weeks ago, at a Middle Eastern restaurant called Delicatessen. 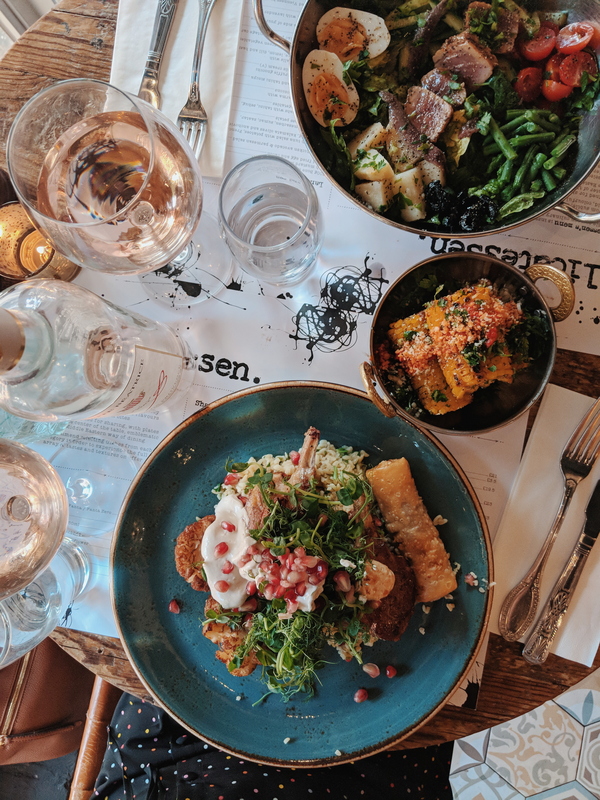 Located just a short stroll from Hampstead underground station, Delicatessen offers alfresco dining, beautiful interiors, and unique dishes. 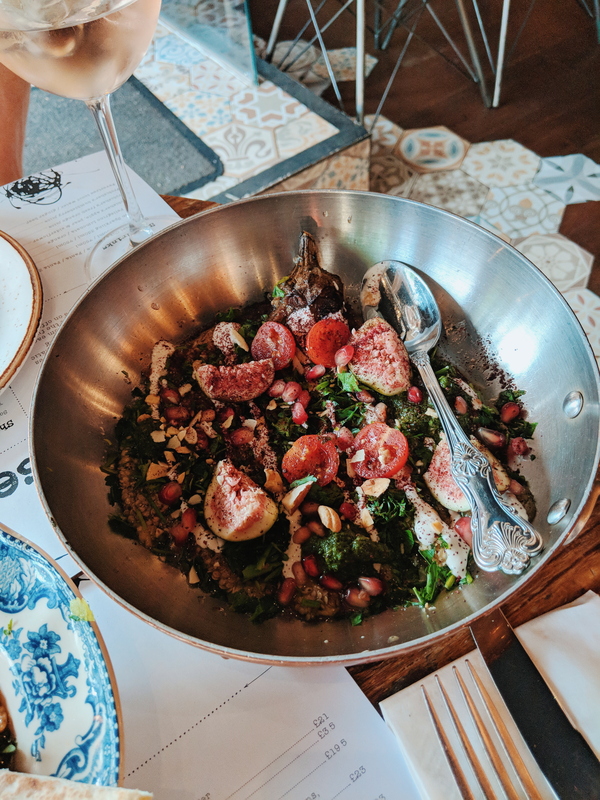 Inspired by the rich and colourful culture of the Middle East, their menu explores a range of flavours, spices and ingredients. For starters we shared tanned aubergine with tahini, figs & mixed nuts. Plus a mouthwatering ummus with confit lamb and crackling! Both of these dishes were the show stoppers for us. It’s not often you find a starter better than a main, but honestly I could’ve eaten these two dishes all day long! The aubergine and figs is like nothing I’ve ever tasted before. A really great mix of interesting ingredients. And well, hummus is my go-to dip. Add to that lamb and crackling, and well, I’m done! I also had to post a photo of the beautiful decor of Delicatessen. 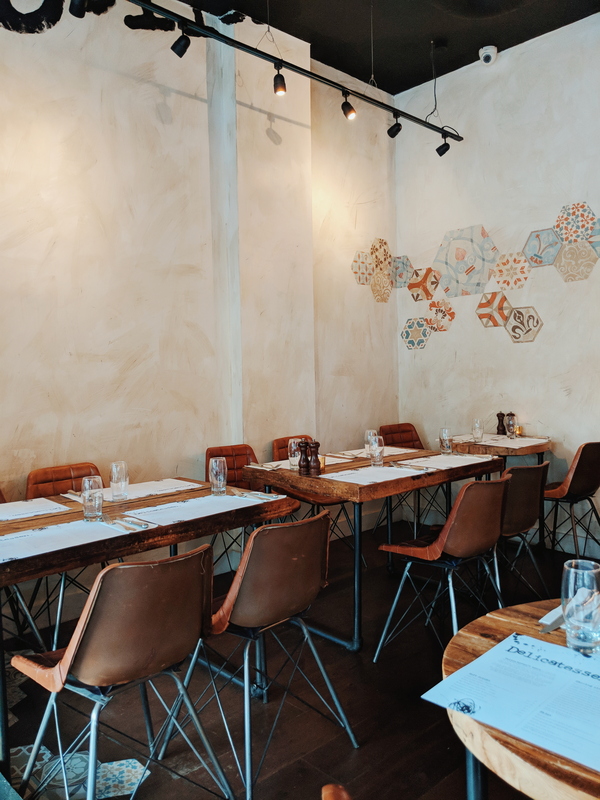 With exposed brickwork, ornate floor tiling (perfect for the #ihavethisthingwithfloors tag), industrial furniture and the most beautiful glassware and crockery. I really wish I’d asked where they’d bought it from! Moving on to mains and I chose the Ras el hanout lamb chops, served on a bed of bulgar wheat with charred cauliflower, pomegranate seeds and a side of lamb pastille. 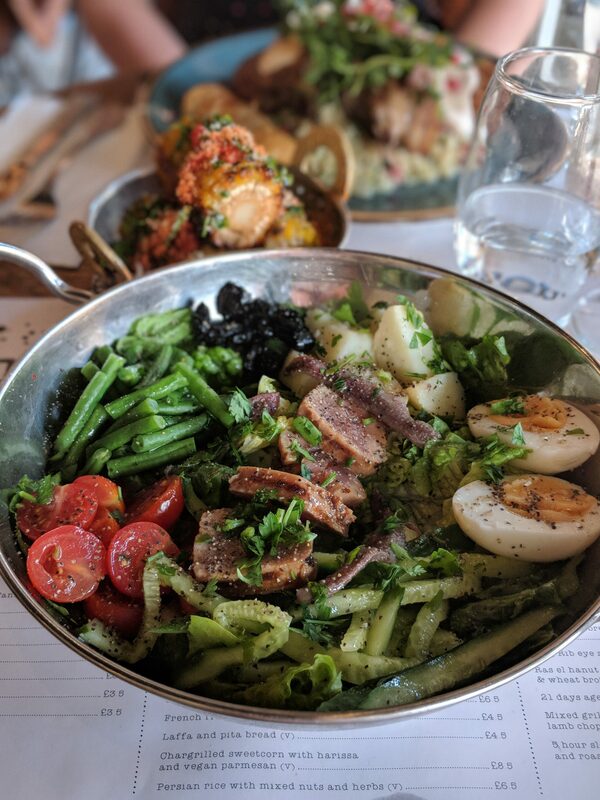 Whilst Stew opted for the seared fresh tuna salad with potatoes, French beans, soft boiled egg, kalamata olives and anchovies. Comparing the two dishes, we both felt the tuna won. Although I love lamb, the tuna was incredible. The portion sizes were pretty large for mains, especially after having a starter each. Personally I think we could’ve shared a main with a couple of sides and the lamb would make a great sharing plate. 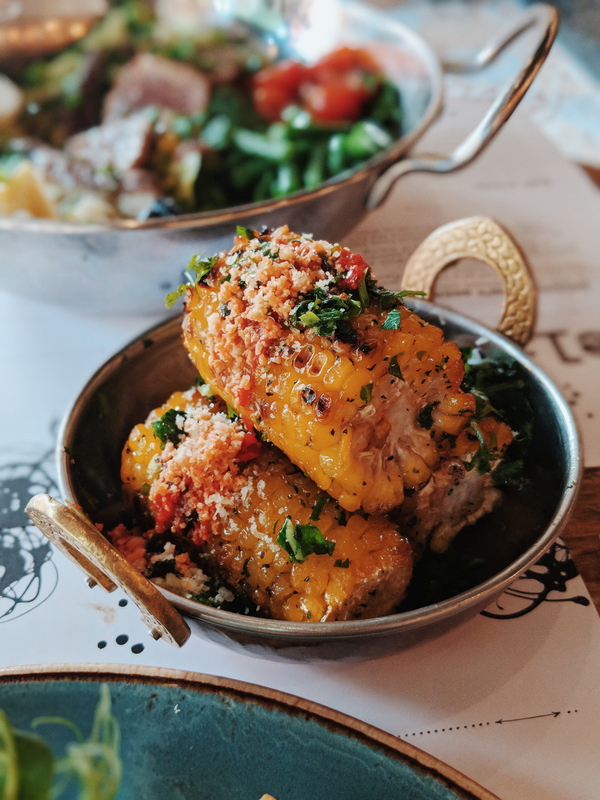 We also couldn’t resisted ordering a side of chargrilled sweetcorn, with harissa and vegan parmesan. We both love corn and it’s often our go-to side, however I was left a little disappointed with this one. I don’t know whether it had been cooked for too long but the corn was dry. It had lost it’s juiciness, which was a shame as the harissa and parmesan topping was delicious! Although we were incredibly full at this point, we couldn’t leave without trying a dessert. On our waitresses recommendation, we went for the Basbousa cake with tahini semifreddo, mint jelly and raspberry & lemon coulis. 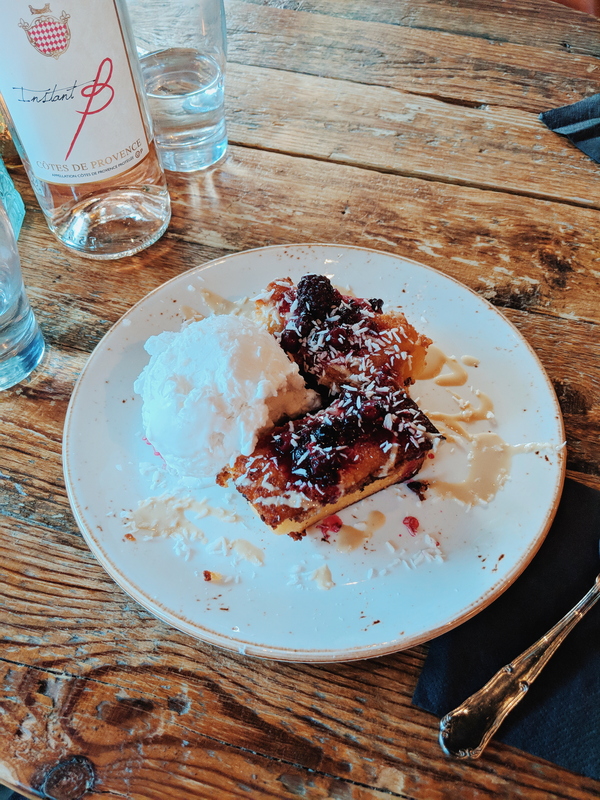 It was absolutely delicious, and although a cake sounds heavy, it was super light and the perfect way to end our date night. 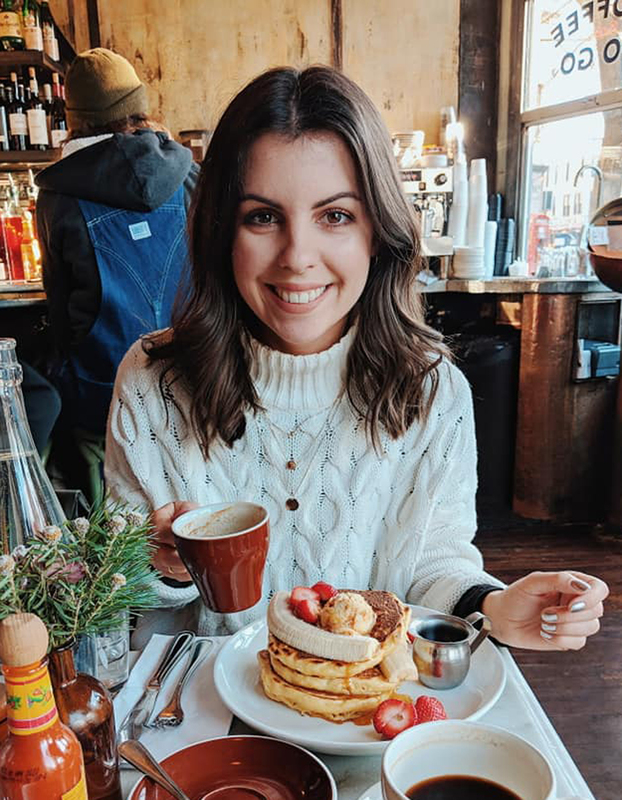 That being said, all of the desserts on the menu sound incredible, so we’ll have to go back to try another! Just look at the menu! Unique Middle Eastern menu with fantastic ingredients and flavours. Beautiful decor. The perfect place to enjoy a summer evening with its alfresco dining. A couple of the dishes were a little underwhelming but overall we enjoyed the meal.